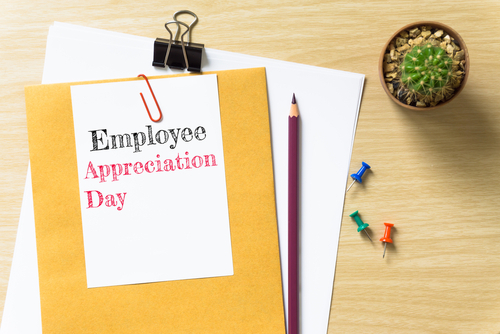 Celebrate Employee Appreciation Day on March 2nd, joining employers around the United States who will take the opportunity to recognize employee contributions with expressions of thanks and appreciation. And what better way to say “thank you” than with a gift your dedicated employees will really use, a practical gift from Working Person’s Store. We’ve been serving working people since 1995, providing quality brands that work, the number one, global designation for work clothing, work footwear, safety gear, and accessories. Express your appreciation without guesswork and worry by giving your staff members an e-gift card from WorkingPerson.com. We have them to fit any budget, in denominations from $5 to $500. E-gift cards provide quick and easy electronic delivery. It couldn’t be any easier. Your employees can use the gift certificate to select something they really want, choosing from quality clothing, boots, and shoes for men, women, and children or from a huge selection of accessories that includes knives, gloves, sunglasses, coolers, backpacks and travel bags and more. You name it, we’ve got it, and we carry only the best brands, and many items are made in the U.S.A. Whether you can’t decide on the ideal gift or you’ve run out of time and you need to move fast, save yourself a headache and select an e-gift card right now. Whether they’re headed to work, to the gym, or across the country, your employees and their gear will travel in style with a bag from Ogio, complete with custom embroidery that we can handle for you right here at our modern in-house facility. Choose from duffels, backpacks, personal organizers, laptop bags and more. 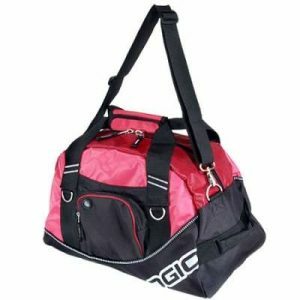 Ogio makes the very best bags for every need, and we have loads of them here at Working Person’s Store. Let us embroider any of these great bags and show your company pride everywhere your employees travel. Our skilled and meticulous staff creates beautiful embroidery using our modern equipment designed to produce smooth, even messaging. All Ogio bags are sold with embroidery, so if you prefer a bag without embroidery, choose the convenient wheeled backpack from Port Authority – it’s great for school, work, or the gym. Be ready for any outdoor activity with a blanket from Port and Company. 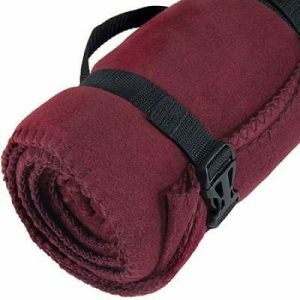 Choose a fleece stadium blanket or a roll-up style with straps and a carry handle. Both are handy companions to keep ready for picnics, ball games, a quick trip to the beach, or a stop along the trail. Just toss them in the trunk for easy access whenever they’re needed. Or you can pamper a staff member’s beloved pet with a Carhartt pet blanket made of classic duck and lined with snuggly Sherpa. Whatever blanket you choose, add your company brand or even your employee’s name (or Fido’s name). Our skilled technicians can customize these blankets with screen printing, heat printing, or embroidery, right here at Working Person’s Store. We take as much pride in our work as you do in your company brand, so you can be sure your project will look great. For a gift that never fails, you’ll never go wrong with a baseball cap. We have an excellent selection of caps in multiple styles and fabrics for any preference and taste. 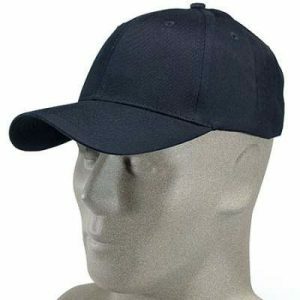 And since you can choose a cap with an adjustable closure, you don’t have to worry about selecting the proper size. And when you order, don’t forget to ask us about customizing your ball caps with screen printing, heat printing or embroidery. 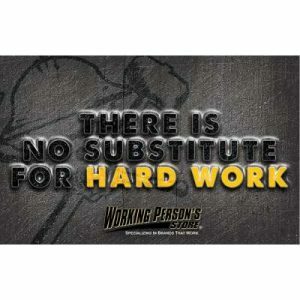 We can do it right here at Working Person Store. Everyone loves a hoodie. 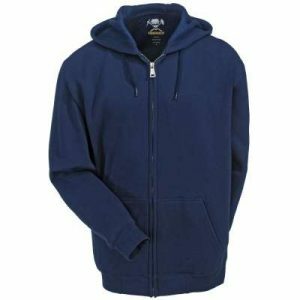 For the ultimate in thoughtful gift-giving, how about one of our Working Person’s Store signature lightweight hooded zip-front sweatshirts? Whether it’s that constantly-cold person who is forever adjusting the thermostat, the one who’s working in the chilly warehouse, or the one who heads for the gym every day, everyone will appreciate this practical gift. And, of course, we can embroider it with your company logo or name, your employee’s name, or even a slogan. Our skilled technicians do it right here at our own facility with modern equipment that produces quality results. Don’t miss the opportunity to tell your employees how much you think of them. We’re here to help with gifts for any budget. Take a look and order today or give us a call to help with questions or to customize your order.